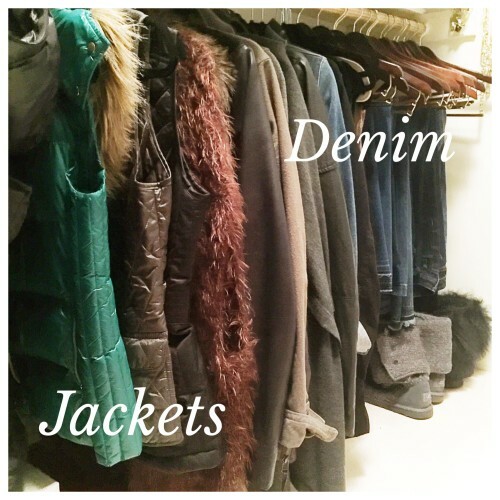 Struggling to edit your closet? Having a hard time letting pieces go? 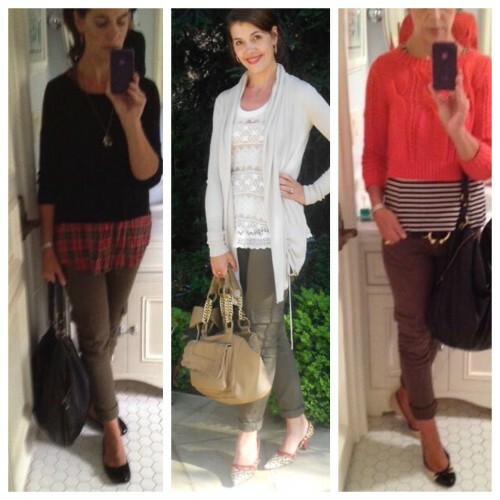 Are you finding it difficult, to pull outfits together each day? A few years ago, a post, called the 30/30 Remix Challenge, was circulating around the blogging world. In a time, way before AskSuzanneBell.com; back in 2011. Keep in mind, these photos were taken with an ancient iPhone, 5 years ago. So this is me, 5 years ago, with longer hair and a bunch of fuzzy, out of focus photos. I am sharing the photos, to give you an idea of how this challenge works. The idea behind the 30/30 challenge, was to better understand what we really wear; day to day. Teach us how to remix our wardrobe, and realize how little we really need. 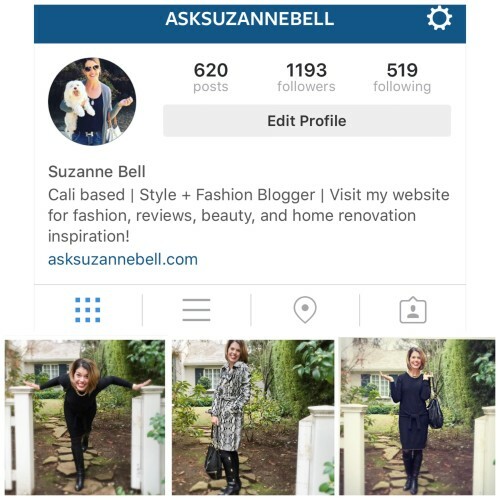 When I took the challenge a few years ago, I gained insight into my own personal style, and realized what pieces I really enjoyed wearing. Since I could only pick 30 items (full disclosure, I selected 45 pieces, and decided I could wear whatever accessories I wanted), I selected only pieces that I loved the fit, and style of. It was insightful for me to see, what pieces I selected as my top 45. This was not an easy task. Pick 30 items in your closet. Remove the rest, or if you are like most of us and cannot remove the rest of your closet, place the 30 select items in the very front of your closet. For the next 30 days, you only get to wear those 30 items. Bonus challenge, is to create a different outfit each day, with these 30 pieces. Some people choose to only include shoes and clothing in the 30 pieces, and exclude accessories, workout wear. Many bloggers take it to the next level and do not purchase any new items of clothing during the 30 day period – I chose this route as well. I suggest partnering with a girlfriend to keep you from stearing off the path, plus it’s more fun. My girlfriend (who stuck to her 30), and I did this together and we had a lot of fun. It was also helpful to have her on speed dial, when I came across a fabulous blouse that I thought I just had to have. It’s fun to take photos along the way if you have time. I did, and when I looked back was surprised at some of the combinations of outfits I came up with. I also learned what pieces I enjoy wearing, and what styles work best with my lifestyle. At the end of the challenge, I did shop – but it was different. I had a new outlook, on what really worked for me. In the end, I was able to let go of quite a few pieces, that I had been hanging on to, for whatever reason. 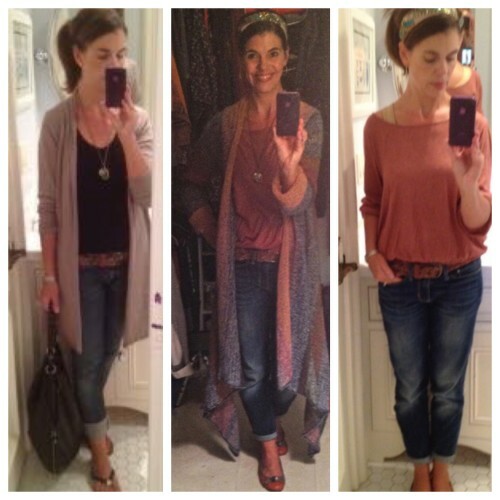 Through the 30/30 challenge I realized, I am really a denim/tee/cardigan kind of gal. Funny enough, 5 years later, this style, remains my go-to look. When I selected my 45 pieces, I had a few skirts and dresses in the mix, but I really did not wear them – this was helpful info for me, when it came to selecting future purchases. Clearly denim, is my comfort zone! If you looking to pair down, discover your style, and simplify – you may want to give this challenge a try. I find, in between seasons, is a great time to give something like this a try. If you are like me, you are probably tiring a bit of your winter wardrobe – yet spring weather is not yet here. This keeps things interesting for another month, as we wait for spring to arrive! Ready to clean out the closet? Looking to pair down to a capsule wardrobe? 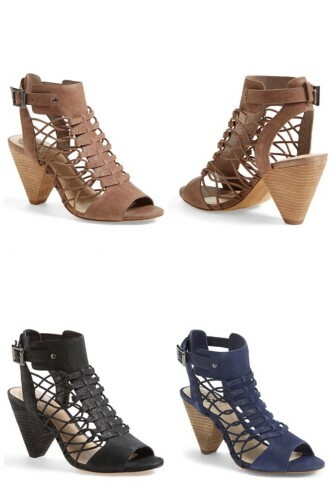 Ready to check out some fab sale shoes? Have any of you already tried the 30/30 Remix Challenge? If you do/did try it, I’d love to hear how it goes for you. Drop comments down below and have a great week! I am totally a denim, t-shirt, cardigan girl as well and I recognized our common bond as soon as I started reading your blog. However, I am struggling lately, as I near 50, to translate that into a professional look. I am an architect so casual business works most days, but I still have the board room presentation occasionally. I am striving to look age appropriate, current and elegant, while wanting to wear jeans, flats, and cardigans. Any suggestions would be appreciated! I am new to the blog and loving it. Thanks! You’ve inspired me for an upcoming post! Thanks for stopping by! Suzanne, you are a far braver woman than I could ever imagine to be. The mere prospect of purging anything, let alone stick to 30 pieces for a month, has me already hyperventilating. Imagine that 🙂 I don’t know. I did consider making March THE month wherein I do not purchase anything new, wherein I would exclusively shop my wardrobe and nowhere else. I’m still considering it, but given that it’s already the 27th, I need to hustle and decide!! Great to see you here! I am really not that brave, but, I have a really brave friend who I would call when I found my car steering in the direction of Nordstrom – to talk me off a ledge. It was really fun and what I loved is that it did make getting dressed, so much easier each day, when I didn’t have to sort though the mass of my closet. I found I could live with less and really needed to stop buying skirts! LOL! I just joined your link up and I love your blog – thank you for the link and suggesting. Great post on your blog today, love it! I’ll be following you along on your adventures from now on! Have a great weekend! I like the 30/30 challenge! I should do it (or at least a version of it! ).